The Fisher Delta Research Center soybean breeding team has gained national recognition for developing improved soybean varieties. The group releases three to five new varieties into the market every year – with a focus on higher yield, disease resistance, environmental stress tolerance and improved seed quality. The soybean breeding team at the Fisher Delta Research Center is led by Pengyin Chen, who came to … Expand ▸The soybean breeding team at the Fisher Delta Research Center is led by Pengyin Chen, who came to the Center after 15 years as a soybean breeding and genetics professor at the University of Arkansas. Chen joined the team in 2016, accepting the MU Division of Plant Sciences David M. Haggard Endowed Professorship of Soybean Breeding. The team is led by Pengyin Chen, who came to the Fisher Delta Research Center after 15 years as a soybean breeding and genetics professor at the University of Arkansas. Chen joined the team in 2016, accepting the MU Division of Plant Sciences David M. Haggard Endowed Professorship of Soybean Breeding. Chen’s work is funded, reviewed and promoted by the Missouri Soybean Merchandising Council and soy checkoff. Chen works with local producers in an attempt to research ways to improve the soybean crop for a variety of soil types and environments. 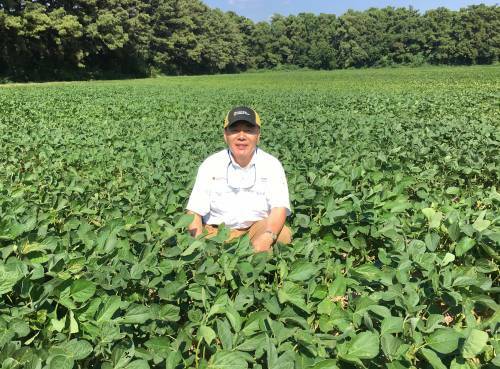 To battle those challenges, Chen and the soybean team do years’ worth of variety development. Chen said the entire process, from crossing to releasing the varieties to the market, can take six to eight years. The process took 10 to 12 years in the past. To breed a new variety, the team selects two parents that have complementary traits. For example, they will breed a parent with high yield potential and a parent with disease-resistance genes. The winter nurseries allow for fast-tracked advancement of the progeny. 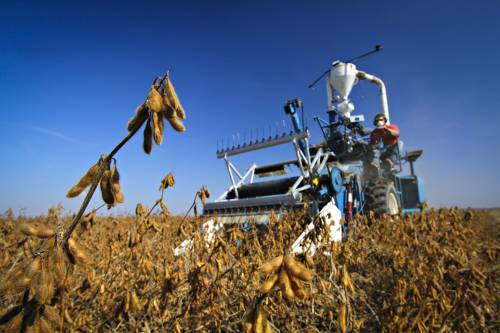 MU has a service arrangement with Hawaii, Costa Rica and Puerto Rico for soybean development. Basically, Chen sends instructions with the progeny and the nurseries send seeds of advanced generation back to the Center. The nurseries can propagate multiple generations in a shorter timeframe, resulting in a pure line quickly. For the lines that test well in the field, Chen then works to commercialize them and get the best ones on the marketplace. The next step in the process is yield testing to see how the newly bred lines perform. Chen plants the soybeans to see how well they do in a field setting. “We have a lot of crosses being made and a lot of progenies being grown every year,” Chen said. “We’re hoping to find something that has the right combination of genes. The success rate isn’t very high. You have to use your resources well. Chen replaced Grover Shannon as head of the soybean breeding team at the Fisher Delta Research Center after Shannon’s retirement. Shannon began his career at the Research Center in 1974. After stops at other locations, Shannon had been at Fisher Delta Research Center for the past 20 years. In total, Shannon worked with soybeans for 40 years. He’s released around 100 lines in his career. Chen’s work is funded, reviewed and promoted by the Missouri Soybean Merchandising Council and soy … Expand ▸Chen’s work is funded, reviewed and promoted by the Missouri Soybean Merchandising Council and soy checkoff. Chen works with local producers in an attempt to research ways to improve the soybean crop for a variety of soil types and environments. Chen and Shannon had collaborated on several projects when Chen worked at the University of Arkansas. The duo met in the late 1980s, as Chen was finishing his Ph.D. at Virginia Tech. Shannon has stuck around in an advisory role to help Chen with the transition to the soybean breeding team. 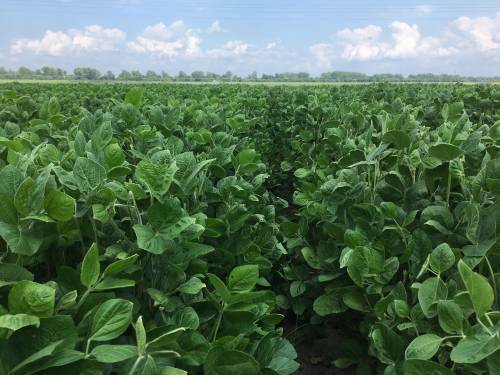 Chen has nearly 20 total projects in the works in collaboration with the Missouri Soybean Merchandising Council and United Soybean Board. He also has projects with the United States Department of Agriculture and a few regional soybean board studies. Those research projects cover a variety of important traits including seed protein, oil and sugar content; numerous fatty acids; drought, flood and salt tolerance; and various other diseases and nematodes. Chen works with several MU faculty as well, such as Andrew Scaboo, Henry Nguyen, Bing Stacey, Felix Fritschi and Melissa Mitchum.